It takes a lot of intestinal fortitude to be an entrepreneur in the cannabis industry – something former Apache helicopter pilot and US Army Ranger Socrates Rosenfeld has an abundance of. The state of California this year made cannabis legal for adult recreational consumption. There’s now a $5 billion-plus market for this stuff. But with the DEA making its bones busting legitimate operations, and Jeff Sessions hellbent on criminalizing “marijuana,” the environment is still hostile. Rosenfeld, the CEO of Jane Technologies and online cannabis marketplace Jane, knows plenty about unfriendly territory. As a platoon leader in the Army he was responsible for the lives of his soldiers on the front lines. Now, as a businessman he shoulders a different kind of responsibilty, and he’s no less cognizant of how important his mission is. For some, cannabis is a matter of life and death. When Rosenfeld left the Army he, like millions of other veterans, found the transition from warrior to civilian difficult. It’s hard to leave the war behind when you know there’s still work to be done, even when you’ve served above and beyond what was asked of you. He tells us after the Army he was “lucky enough to be accepted into MIT” where he spent his days studying business and technology. His evenings, he says, were dedicated to learning everything he possibly could about cannabis. Rosenfeld created Jane Technologies because he wanted to find another way to help people after he’d left combat. With it, he provides data and insights to dispensaries and convenience to customers. 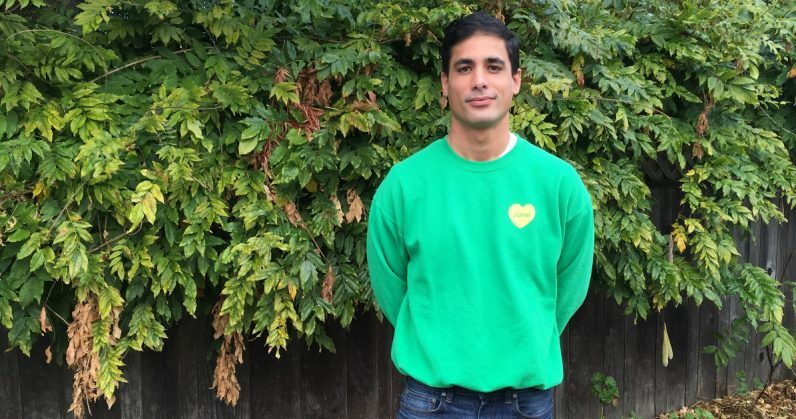 He’s created an entire online ecosystem for cannabis sales. Like a military drill, everything about the concept, the website, and the execution is clean and precise. I am cautiously optimisitc. The innovation that’s taking place, that’s now allowed to take place … well, we don’t want to make the same mistakes that every other industry makes. There’s a lot of short-term money to be made, but let’s take a tactical pause and make sure we’re making the best long-term solutions. Rosenfeld doesn’t look for the easiest way to solve a problem, he looks for the best. When ordered to leave his first Army post and join the fight in the Middle East he didn’t balk. In fact he requested a trip to Army Ranger school to bone up for the gig. He wanted to know what the men and women fighting on the ground were going through. It was important he understood the threats soldiers faced because, as an Apache pilot, he would be serving people who were directly in harm’s way. Today he understands that, for millions of people, cannabis is medicine. What Rosenfeld and his company provides is an Amazon-like experience that makes it easier for customers to find what they’re looking for across dispensaries from the comfort of home – a far cry from meeting a shady dealer in a gas station parking lot. And sure, the sheer brute force of cash alone will burgeon the cannabis market, there’s little doubt those billions will keep rolling in. It’ll eventually become the domain of venture capitalists and big-tech. But for now there’s no Bill Gates-type standing up to the government in this fight. So it’s a good thing for the cannabis movement that leaders like US Army Ranger Socrates Rosenfeld are willing to bring their sense of honor, duty, and courage to the front lines. We have the opportunity to take this industry that was in the dark, something that in my opinion hurt a lot of people, and turn it into the next big American industry. I would tell him to listen to the people. I hope he’s talking to the military veterans who’ve overcome opioid addiction with cannabis. I hope he’s talking to the parents of children having seizures that are helped by cannabis and to elderly people using cannabis creams to treat arthritis. It’s up to our leaders to listen to the American people. Rosenfeld is a person whose leadership ability has been weighed and measured in the crucible of war, he’s earned the title of leader. And as a technology CEO, the MIT education doesn’t hurt either. In military jargon we say people like him are “high-speed, low-drag” individuals — the kind you can count on to get things done. That sounds like exactly what the cannabis-tech industry needs.